Business Intelligence gives you up-to-the-minute information when you need it, in a format that's flexible to your needs. Ecliptech Ltd works closely with clients to gather essential data and translate it into readable and easily accessible reports. The result? 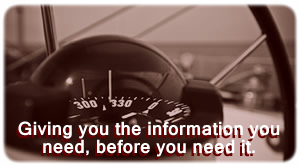 You'll spend less time hunting around for information and more time driving your business forward! “Business Intelligence has produced results beyond our expectations.